Here are some notes from the ACTC on Tour meeting held by the Stroud Motor Club on 13th January. A reminder that Launceston & North Cornwall Motor Club are having a meeting on 28th February at Trethorne Leisure Park, to which the ACTC and other motor clubs and members have been invited. Further details on the upcoming Launceston meeting are below. This is a reminder that the purpose of setting up this meeting was, and still is, to provide an opportunity for members of our club, neighbouring clubs, and representatives of the organisations we are involved with, to come together and start a conversation about “The Direction of our Grass Roots Sport” and ways to come together to make its existing or new forms more attractive to both competitors and organisers. Trethorne (https://www.trethorneleisure.com) is easy to find (Map Ref 201/ 284833). 3 miles west of Launceston turn off the A30 onto the A395 and in 100yds R into Trethorne. Keep R along drive to the Leisure Centre where there is some parking. There is also more parking to the left of the Drive. If you will be coming please ring me Warin Kelly on 01822 870393, or Pat Gomm on 01566 784348, so that we can get an idea of numbers, and make sure we have a big enough room. If you are unable to attend but have any comments on this matter please feel free to post them on our club face book page. Or send them to John Turner at [email protected] who will be happy to include them in our newsletter. Entries are now open for the 2019 Launceston Trial, running on Sunday 10th February. “Launceston & North Cornwall Motor Club invite you to the 2019 Launceston Trial. The trial will again run in its popular format as a single venue trial held in Eastcott & Lew Woods. As always we hope to introduce some new sections and of course sections from the Tamar Trial will be included. This year the Start area will again be in the old wood yard so there should be sufficient space for parking there. The catering van has been booked and will be in attendance throughout the day providing hot rolls and baps etc. and hot & cold drinks. Membership to Launceston & North Cornwall Motor Club for the year will as usual be offered anyone who enters the trial. Therefore competitors from any club, or indeed if you have yet to renew your club membership, all are very much welcome to enter the trial as you will automatically become a member of the organising club upon entry. And of course as the event is run under a Clubman permit there is the added bonus that you don’t need a competition licence to enter. Entries are now open for the 2019 Durham Dales Trial, which is now a full ACTC Championship round, and now runs earlier in the year on Sunday 10th March. Separate regs and entry forms for cars and bikes are below. “The 2019 Durham Dales Classic Trial has a compact route of 54 road and 22 miles on tracks around the North Pennines and Durham Dales visiting many of the sections from previous years including all the favourite ones. We will use variable tyre pressures, diversions and a few restarts to make the trial more enjoyable for all competitors. The start venue is at the Parkhead Station, Stanhope Bishop Auckland Co Durham DL13 2ES (Map Reference 87/000433). Hot food and drinks will be available before the start and after the finish. This year’s event is Round 5 of the ACTC National / Regional Championships for cars. It is a great opportunity to score some points in very spectacular scenery. The National B event is open to members of member clubs of the ACTC. We have the eight standard car classes for those drivers wishing to enter the ACTC Regional Championships. The Clubmans event, which doesn’t require a MSA Competition Licence, is open to members of M-ECVC and members of invited clubs: Fellside AC, MCC, VSCC, Wigton MC, Preston & District VCC, Ilkley DMC, Airedale & Pennine MCC. Except for class 0 the Clubmans event will follow the same route and sections as the National B. Please note that since 2008 car passengers in National B classes have been required to be a member of one of the invited clubs. 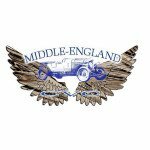 Passenger membership of the Middle-England CVC will be available at signing-on. Should you be unable to enter this year perhaps you would be willing to marshal. We can promise you an enjoyable day in the country, interesting cars and bikes, good company great atmosphere and a FREE Lunch . Contact Peter Phillips at [email protected] or phone 07477354535. Entries are now open for the 2019 Northern Trial, running on Saturday 23rd February. Separate regs and entry forms for cars and bikes are below – but the easiest way to enter is online here. “The 2019 Northern Classic Trial has a compact route of 57 road and 20 forestry miles around the Northern Lake District visiting many of the sections from previous years including the infamous Sandale, Black Hole and Big Cockup. We will use variable tyre pressures, diversions and a few restarts to make the trial more enjoyable for all competitors. The start venue is at the Hope’s Auction Mart in Wigton, they are geared up for farmers and we fit in well. Very good hot food and drinks will be available before the start and after the finish. The National B event is open to members of member clubs of the ACTC. We have the eight standard car classes for those drivers wishing to enter the ACTC National and Regional Championships. This year’s event is Round 4 of the ACTC National Championship. It is a great opportunity to score some points in very spectacular scenery. Please note that since 2008 car passengers in National B classes have been required to be a member of one of the invited clubs. Passenger membership of the Fell Side Auto Club will be available at signing-on. The Clubmans event, which doesn’t require a MUK Competition Licence, is open to members of FSAC and members of invited clubs: – MCC, VSCC, Wigton MC, Preston & District VCC, Durham AC, Middle-England CVC, Ilkley DMC, Airedale & Pennine MCC and other ACTC Affiliated Clubs. Except for class O the Clubmans event will follow the same route and sections as the National B. Should you be unable to enter this year perhaps you would be willing to marshal. We can promise you an enjoyable day in the country, interesting cars and bikes, good company and great atmosphere. Contact Myke Pocock at [email protected] or phone 01228 530555. Up to date details of the trial can be found on our website www.fellsideac.co.uk. Entries are now open for the 2019 Cotswold Clouds Trial, to be held on Sunday 3rd February. “On Sunday 3rd February 2019 we welcome you to join us, as we have done since 1963, for our annual Cotswold Clouds Classic Trial. Over the years many competitors and spectators have enjoyed the Cotswold Hills, and this year will hopefully be no exception. Some sections have been eased to suit all classes but still present a challenge, and of course, we still have the old favourites to be climbed including Crooked Mustard, Nailsworth Ladder and Wicked Juniper. Having seemingly managed to reduce the annual queue for Mustard, we are introducing a slight change of format to see if we can manage the same for Axe. Also introducing a Clubmans Class for pre 1960 front engine cars. The excellent facilities at Fromebridge Mill will again be the start venue, where signing on and scrutineering will also take place as per previous years. Tea, coffee and hot food will be available as usual. No trailers should be taken to the start but they can be left at SKF as previously. Entries are now being taken for the 2019 Exmoor Trial, to be held on Sunday 27th of January. “Welcome to the 2019 Exmoor Trial, which is a round of the 2019 ACTC Car and Motorcycle Classic Trial Championships, ASWMC Classic Reliability Trial Championship. There is a new organising team this year, as many of you will know, John Barthram and Rodney Murch have stepped back from their organising roles which they have carried out for 32 years. Therefore this year sees some big changes to the route. As of last year we have moved away from the long haul from Exmoor back to Barnstaple to collect your tow vehicle. We will be finishing at the Muddiford Inn again which was appreciated by many last year. The trip across the high ground of Exmoor will not be included this year as this added many miles to the route for just a few sections. This year’s route is approximately 70 miles on OS Map 180 in the very north of Devon with a real mixture of sections which are non-car/motorcycle breaking including High Bray which can be quite a challenge at this time of year, we are also pleased to include Hurscott, another favourite which was totally washed out a week before last year’s event after a lot of repair work by NDMC members. Fortunately a local farmer took it onto himself to repair the lane for which we are very grateful. The route will include stops for fuel near the start and during the route. The event will have a Motorsport UK dual permit, Clubmans & National B. Those who enter the Clubmans event do not require a Motorsport UK Competition Licence, if you want to contend the Championships then you will have to enter the National B event. Motorcyclists who do not have an ACU Trial Affiliation can purchase a One Event Trial Registration, ideal for beginners to have ago. Breakfast will be available for purchase at the McDonalds Restaurant, further refreshment and meals will be available at The Muddiford Inn finish venue. For those who do not wish to travel on the morning of the trial can find accommodation at either the Cedars Inn (near start venue), tel: 01271 371784, or Travelodge Barnstaple Roundswell Services, (even nearer the start venue) tel: 0870 191 1845.